(OXFORD, Miss.) 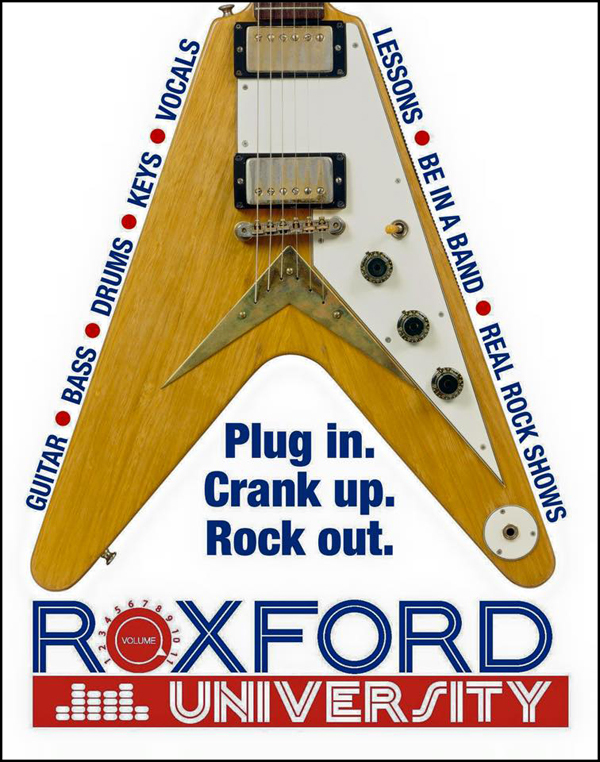 — Combining individual music lessons, group rehearsals, and public concerts at real rock venues, ROxford University helps kids plug in, crank up, and rock out with a new learning experience in Oxford. Rox U believes the most exciting way to learn music—guitar, bass, keys, drums, or vocals—is to involve public performance together as a band. Classes will begin on April 6. Rox U invites the public to an all-access “Open House” visit to the school at 1115 Mimosa Drive from 2:30 to 7:30 p.m. on Thursday, March 19, 2015. The school is operated by Rox U, LLC, owned by Oxonians Carter and Lydia Myers and Tad Wilkes. Individual lessons are key, but Rox U also will group kids together in band lineups for weekly rehearsals in its rehearsal space, with professional equipment, building toward performances in real live music venues at the end of each semester. Rox U offers a performance program for beginners (the Sound Check program) as well as the Rocking Out program, which puts kids of varying skill levels together into lineups for each song of the semester show(s). For those who aren’t looking for the opportunity to perform in public, Rox U offers the option of individual instruction only in the Rocking In program. Additional opportunities will include summer camps, and all-star, advanced students may audition for the Rox U House Band, which will attend special rehearsals in addition to the regularly scheduled semester shows. Adult lessons are also available. Rox U has assembled a seasoned team of professors who are all veteran musicians, with not just the chops to teach how to play your instrument of choice but hard-earned wisdom on being in a band and performing. The “Dean” of Rox U is Tad Wilkes (Moon Pie Curtis), who is joined by professors Eric Deaton (the Eric Deaton Trio), Holley Peel (talented singer/songwriter), Patrick McClary (Daybreakdown, the Minor Adjustments), Silas Reed (Silas Reed ‘n’ Da Books), Kenny Graeber (the Daniel Karlish Trio, Mustache), Newt Rayburn (The Cooters, Hawgwash), Will Smith (Maps and Legends, the Will Barrett Band, The Litigants, Moon Pie Curtis & the Fixins), and Berklee College of Music-bred Jason Ball, a local rock and jazz phenom—with more faculty to be added. Most of the venues where Rox U students will perform are the same kinds of venues our faculty members perform in as professionals. The initial semester begins April 6, 2015 and goes for two months. Includes one weekly 45-minute private lesson and one two-hour group band rehearsal per week, culminating in a live performance at the end of the semester. Includes one weekly 45-minute private lesson. For more information, visit Roxford University at 1115 Mimosa Drive, Oxford, Mississippi 386555, call (662) 550-3065, or visit RoxU.org. 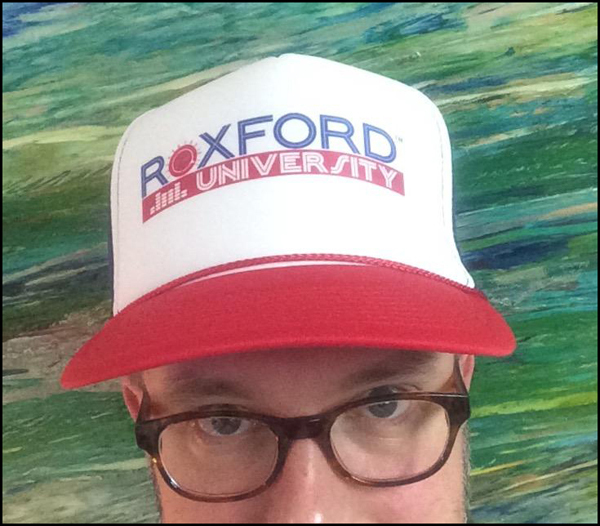 Follow Roxford U on Twitter (@roxfordu) and on Facebook. 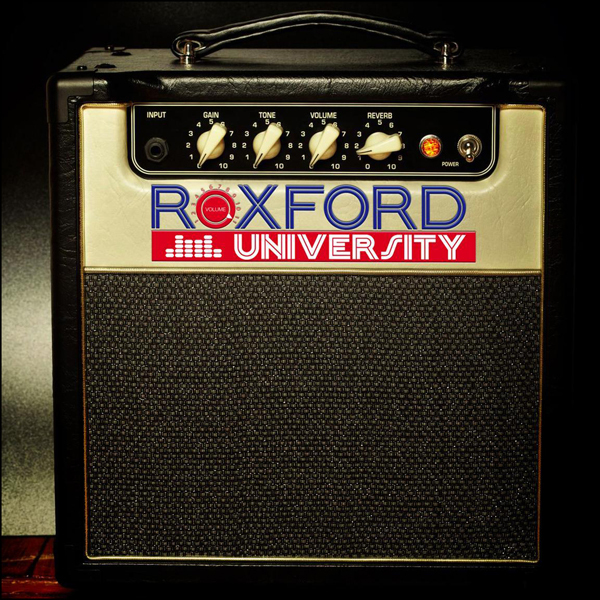 Roxford University, operated by Rox U, LLC, is a rock music school teaching individual lessons and developing students in rock bands, building toward public concerts at real rock venues each semester. For more information visit RoxU.org.